Interested in learning more about WesBurger? See what others have said. Wes Rowe, local burger brawl champ, takes over the kitchen every Wednesday at Divisadero's Mojo Bicycle Café and creates one burger made one way each week. I went to a few of Wes Rowe's burger pop-ups in Nopa, and they were good, but I really didn't know what to make of them on a whole because each one was some sort of weird new stunt. So when he opened his actual brick-and-mortar, I was very curious how he was going to pull it off. And man, did he do it. Wes Rowe has been holding his weekly Wednesday WesBurger pop-ups at Mojo Bicycle Café on Divisadero for two years running. 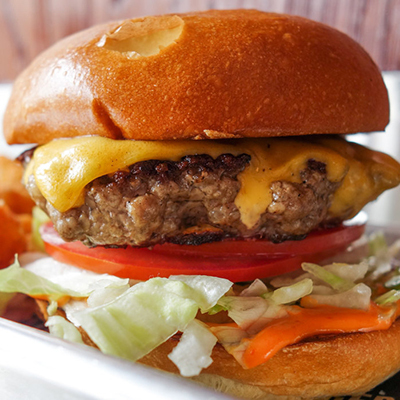 Each week, burger styles vary, but all share one thing in common: 100 percent custom-ground brisket. You already know Wes Rowe of Wesburger makes one of the best burgers in San Francisco. 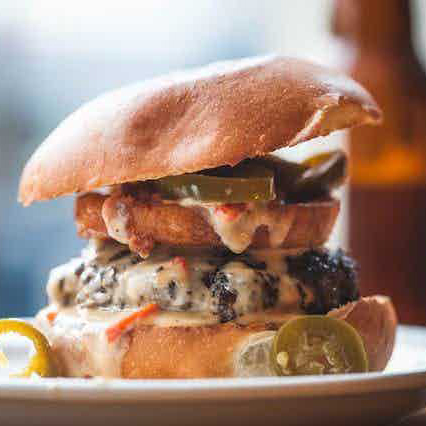 Rowe, who hails from Austin, is known for topping his burgers and tots with signature Tex-Mex queso dip. The all-brisket patty for this burger—from San Francisco's Wes Rowe, a pop-up burger slinger—is grilled, but in a cast-iron pan over the flame.